Home » Blog » Content promotion: what can each social platform do for me? We all know that having great content on your site is key to engaging customers and driving sales, but there’s little point if no one can see it. There are many ways to promote your content online, and social media is undoubtedly a leading contender. Here, we take a look at some of the platforms you can use, focusing on the benefits and pitfalls of each. 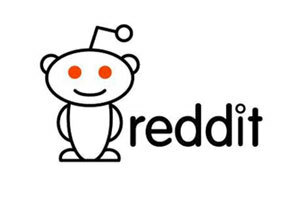 Reddit is often seen as the home of silly discussions and funny pictures, but it is actually a great tool for promoting your content – largely because of the audience it attracts. The best thing about Reddit is that the people you’re talking to are real. Everyone on there has had to sign up and create a profile, so with no automated accounts, you know you’re being heard by humans. If you’re to get the best possible response from your audience, there are a few factors you should be taking into account. When you know who you’re trying to reach, for example, you need to find the right subreddit (interest area) to add your link to. The best approach is to make a general post and another in a more niche subreddit. If you have an article about Ferrari, for instance, you could post it under ‘cars’ and then again under ‘Ferrari’. 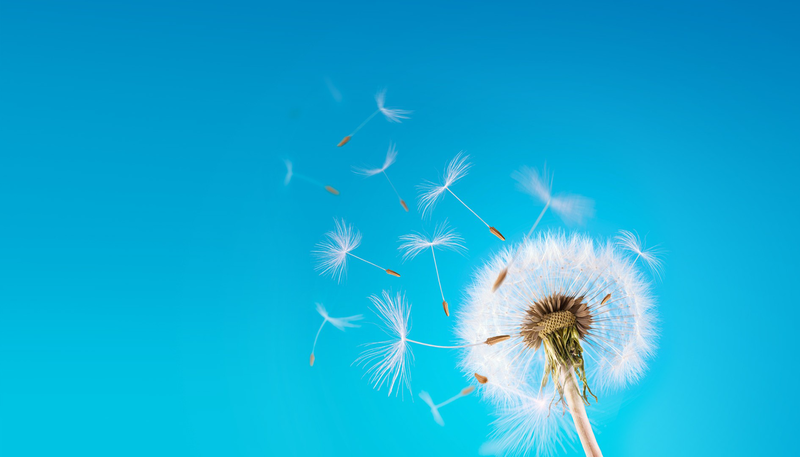 Giving your Reddit post a catchy and exciting name is vital to getting users’ attention. Use a brief line that gives a general overview of your article and includes the main and most exciting point of your content, as this is what is of most interest to your audience. Once they start liking your content, you’ll gain more ‘link karma’, making you a more trustworthy source on the site. 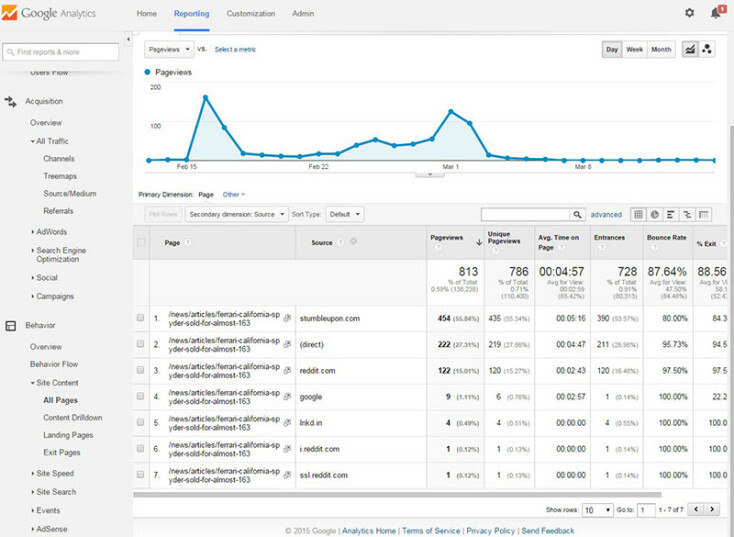 It’s worth noting that Reddit referrals go hand in hand with high bounce rates. The graph below shows this well; you can see the large spike in visits when the content in question was posted on Reddit, but the 97% bounce rate is far from ideal. While this initial attention is still positive, there are things you should be doing to keep people interested beyond the one page. Make sure your content is engaging to the audience, and give them something to think about – if readers are intrigued about what you have to say, they’ll be more willing to look around your site. LinkedIn is often overlooked when it comes to content promotion, with many site-owners under the impression that it’s only useful for employers and job-hunters. In truth, though, it can be highly valuable traffic source, especially for B2B websites. There are several ways to promote content on LinkedIn – and you can do so as a brand or by yourself. The simplest method is to post a link to an article in your profile, just as you would with Facebook or Google+. You can share from the piece itself or paste a link into the LinkedIn update box, with any text you’d like to add. You can also publish articles within LinkedIn by clicking on the ‘publish’ icon, which leads to a blog-style editing form that allows you to insert text, images and links as you wish. The site even shows stats on how many people have read your article. Being a member of a LinkedIn group will allow you to promote content to its subscribers. Obviously, if you do this too much, you are likely to be blocked as a spammer, so be sure respect the community’s netiquette. Once again, you’ll need to maximise visibility if you’re to get great results from your LinkedIn promotion efforts. Work on increasing the quality and quantity of your connections to widen your reach and build your audience. Promote pages as well as individual pieces of content for maximum impact. StumbleUpon is a great way for web users to discover articles related to their own interests. By joining up, and adding a few subject areas to your profile, you can start seeing content that has either performed well or has been recommended by others with similar tastes. The ‘stumble’ button can also be used to load a random webpage from the network (NSFW content not included). This means that users you wouldn’t have previously targeted in your campaigns could ‘stumble’ across your content by accident. Alternatively, those with relevant interests could be drawn to your posts. 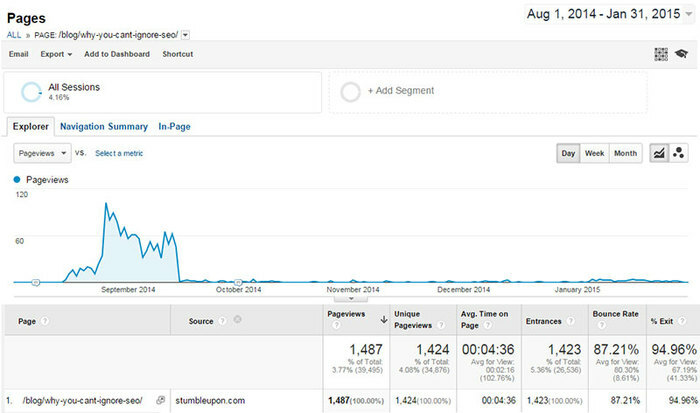 While there is potential for large amounts of traffic, StumbleUpon does have its downsides. Due to its nature, the site can’t really be used to specifically target an audience; it’s only really effective as a way of increasing brand awareness or spreading a message. As users are often just looking for interesting content, and tend to go from piece to piece on the site, expect to see high bounce rates once again. What can StumbleUpon do for me? Although this shows how a guide can be particularly popular on StumbleUpon, not everything you submit has to be a long-form article. 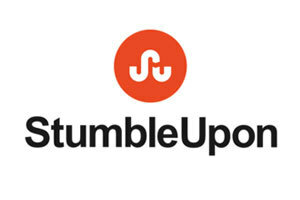 How can I use StumbleUpon effectively? Just adding your own content and promoting your business will most likely get you removed or blocked from the network. Instead, focus on adding content that people will want to view and share. Including the correct category and relevant tags is also essential. With its content-friendly interface, Facebook is an obvious choice when it comes to sharing news and blog stories. Although its algorithms change regularly, posting to the site can be an excellent way to engage with others, both as a brand and an individual. The majority of Facebook users log on to the site to connect with friends, family and other acquaintances. Most also use it to stay up to date with brands they care about, and to share posts with their connections, making it more personal than the likes of Twitter and Instagram. Facebook appeals to a slightly older demographic too, so its tone is more mature. The visual elements of Facebook make it ideal for image-heavy material, so it’s particularly useful for those in the hospitality and creative industries. Equally, Facebook sharing may not be suitable for all businesses, so it’s worth bearing in mind your client-base. It’s easy to add images and links to Facebook posts to make sure updates are eye-catching. With no character limit, you’re free to write exactly what you need to, although experience shows that short and sweet is usually more effective. Your posts will also have a longer lifespan, as Facebook content is less time-relevant. On Facebook you have the option to post either from a brand page or an individual profile. The latter will have more organic reach, although it will be limited to those already in your friends list. If they then choose to share it themselves, though, the reach will be much greater. Last year, an article in the New York Times described Google+ as a “ghost town” and, with a community much smaller than those of Facebook and Twitter, it’s not hard to see why so many marketers decide to ignore it. There are, however, various advantages to consider. On some social networks, it can sometimes feel like you’re just promoting content for the sake of it, but Google+ allows you to target your primary audience directly, through its ‘Communities’ feature. 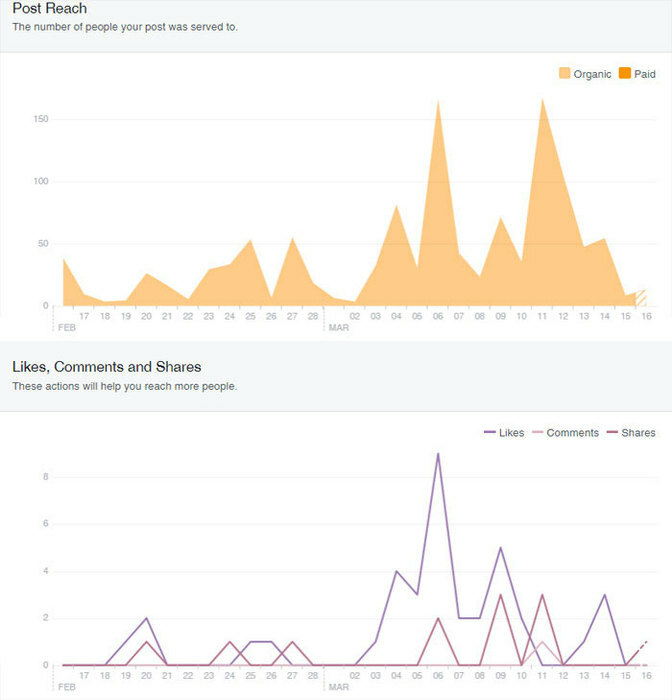 By looking at user groups and determining which are active, you can see real interaction with your content. Alternatively, if a community does not meet your requirements, it is possible to create an entirely new one and encourage others to join. 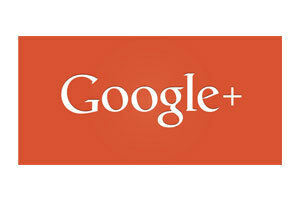 Another advantage of Google+ is that its posts are not confined to the network itself. 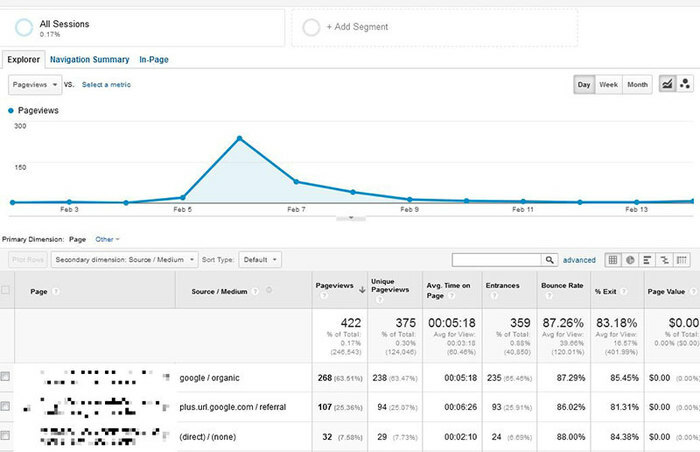 The actions of users you follow will also appear when you type search queries into Google. If someone is following you on Google+, the chances of your content being seen by them increase greatly. If they decide to share it themselves, it could even create a chain reaction. Although the referral traffic from Google+ is positive, we can also see a massive boost in organic results at around the same time that the piece was shared. How do I promote on Google+? With no character limits and the ability to push content right in front of your audience, using Google+ effectively is usually just a matter of being an active part of the community and making sure your content is as shareable as possible. Just bear in mind that your content will probably be appearing in Google search results too, so treat your description and title as metadata and ensure the first few lines contain all of the information your audience might need. 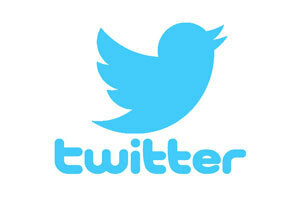 It’s no surprise that so many businesses turn to Twitter for promotion. With 232 million people using the site every month, sharing an estimated 27 million pieces of content daily, it is an extremely useful tool. Before anything else, it’s a great way to identify your audience. You can use the platform’s multiple search functions to find those who work in your industry, and those who share an interest in the subject of your content; it’s these people who are most likely to share your material. What’s more, this gives you an opportunity to see what content already exists on a particular subject, what tends to get shared and where the gaps and opportunities for content creation lie. When it comes to breaking the ice, Twitter is up there with the best. It can be used as an initial point of contact, or even as a follow-up to more traditional communication methods, like email and telephone. It shows a third party that you are serious about building a relationship. The platform can also be used to enhance your content with quotes from influential people, who can then be re-engaged with later on in the promotion process. Once you have a great piece of content that you’d like to share, you need to make it known to those who are most likely to be interested; providing you find the right people, you’re likely to be successful, but there are ways to optimise your results. Acknowledge all interactions and take the conversation further offline if the opportunity exists. Put simply, Twitter tends to be about back-scratching; if you help someone out, they will more than likely return the favour. Your conversations may even create opportunities to write additional content for external sites – boosting your overall SEO and promotion efforts in the long term. When you are sending tweets out to your prospects or brands that you’ve mentioned in your content, be sure to use a short URL as this will enable you to track any engagement that comes as a result. Twitter now offers paid or ‘sponsored’ tweets too; it gives you the chance to pay for your posts to be pushed out to specific audiences, potentially building more interest. Once again, this can be done as a brand or as an individual user. It’s a great way to get your content in front of people who otherwise may not have seen it. Hashtags are deemed unprofessional by some users, but they have their uses when it comes to content promotion. As well as helping people find your material quickly, they should ensure it’s found organically. This is providing you use words and phrases that genuinely relate to your content and its intended audience. The tweet below is a good example. Providing you’re using the right platform, social media is one of the best ways to boost your web traffic. Now you have an idea of what each of the main channels can do for you, you can trial them for yourself and see what produces the best results!